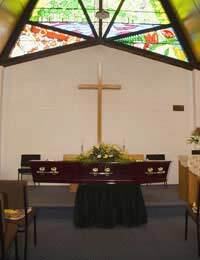 Speaking at a funeral or memorial service carries with it a tremendous amount of responsibility. Thus it will behoove you to give a serious amount of consideration as to what you’ll say and how you’ll say it. Though many people choose to start such services in a more traditional manner, such as “Dearly beloved, we are gathered here…”, that type of format is usually reserved for members of the clergy. Chances are that unless you’re officiating as a religious leader, you’ll be speaking about the deceased on some other level; consequently, you’ll need to set a more familial tone. That being said, you can also try for a dramatic introduction, such as: “On June 21st, the world lost a brother, a friend, and an animal lover.” The only concern with being so theatrical is that, if handled incorrectly, it can seem insincere and too “affected”. Still, if you feel you have the confidence and experience to pull off such an intense introduction, by all means do so. Such an intro is the perfect way to transition into anecdotes regarding 1) his outdoorsy nature; 2) his athletic activities; and 3) his most significant relations. At this point, it’s commonplace to engage in telling the audience a few items about the deceased individual. As per the example above, you could elaborate on three short stories about John Doe. One could be amusing, another inspiring, and the third emotional. However, what they should all have in common is a celebration of John Doe as a unique person.Where many speechmakers 'err' during the body of funeral or memorial speeches is in attempting to talk about questionable, tactless, or private subjects regarding the deceased (“John’s first three wives all left him, that’s true…”) or inserting inappropriate information about themselves into the speech (“John’s delight in spelunking reminds me of the time I went to a cave with buddies and got stuck for several days…”) Remember that you’re being asked to enlighten your listeners about your subject’s positive attributes and achievements, not your own. The secret is to make your humor light and without any iota of malice. Even if you didn’t always like being in the company of the person about whom you’re speaking, keep unconstructive thoughts to yourself. As with all speeches, the conclusion is the ideal place to reiterate the points you’ve made during your introduction and body. Though it’s not expected that you add another anecdote about the deceased at this juncture, many funeral and memorial service speakers do end their speeches this way. For instance, reciting poetry (perhaps written by the deceased or a member of the deceased’s circle of family/friends), religious passages, or personal letters can make a lovely, heartfelt ending.Remember that as long as you’ve done justice to the deceased and focused on his/her life, your talk will be fondly recalled by all who were present.